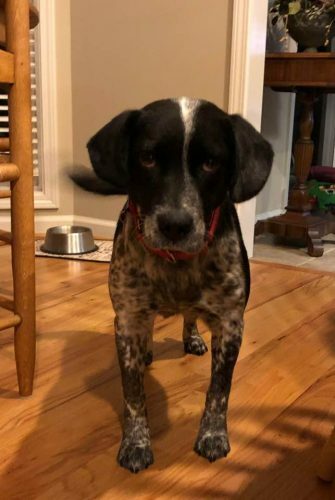 Momma Mia is a 2-3 year old, approximately 30 pound Pointer mix. She is spayed, heart worm negative, micro chipped, appropriately vaccinated and treated for parasites. The stray momma was extremely timid when she and her young abandoned puppies were rescued. Her weaned babies were sent to an out of state rescue but fearful Mia was thought to be to be unadoptable. Mia has been nurtured in a private home where she has learned to trust and love. She is house trained, gets along with other dogs and responds to basic commands. Mia is eager to please and start a happy new life with a loving forever family. If you would like more information, or to meet sweet Mia, please email [email protected] or call 706-436-0965.